Content & Trigger Warnings: Death of a loved one, grief. It’s Christmas, and that can only mean one thing: CHRISTMAS MOVIES!!!! Growing up, my cheese-ball of a mother (bless her heart) lived and breathed Hallmark Channel original movies – you know the ones I’m talking about. Small budgets, large amounts of sap, an ending that usually involves a heart-warming Christmas kiss…yeah, those ones. If I’m honest, I wouldn’t be surprised if ol’ Mummy dearest was one of the 58 people who watched The Christmas Prince everyday for 18 days straight. Dear goodness, make it stop. Let it be known that Hallmark Christmas movies are not my cup of hot cocoa. My tastes are much too refined for that – give me a good, solid slapstick comedy like Home Alone or Elf any day. Yes, that’s so much more highbrow of you, Kat. And surprise not surprise, I watch Mickey’s Christmas Carol every year because heck, I’m a Disnerd and I own it. Also because it’s TRADITION! (If you didn’t sing that like the song from Fiddler on the Roof, then go back and do it again). This year however, I decided shake things up and watch the The Muppet Christmas Carol instead because heck, I’m a rebel and I own it. Actual footage of my anxiety calling me out for lying about being a rebel. When I realized that there was a super-creative reimagining of A Christmas Carol floating around like a snowflake in the bookisphere, I obviously had to get my hands on a copy BECAUSE THE HOLIDAY SPIRIT IS STRONG WITH THIS ONE AND I NEED ALL THE GINGERBREAD COOKIES, SANTA HATS, AND RED-RIBBONED-WREATHS IN MY LIFE. Although I was about as excited to start reading The Afterlife of Holly Chase as a toddler on Christmas morning (It’s written by one of the Lady Jaines, for goodness sake!!! ), it didn’t quite live up to my great expectations (hahahahahsobs. I will refrain from any more Charles Dickens puns in this post….probably). But seriously, it was like that moment when you hopefully tear open a present….only to discover that it’s only a pair of socks. ALL THE DISAPPOINTMENT. A Christmas Carol has been retold (both on the page and on the screen) so many times that the whole story has practically become a cliche. You might argue, “It’s all been done before. ‘Humbug’ and ‘God bless us every one,’ and all that. What else is there to add?” A lot, apparently. 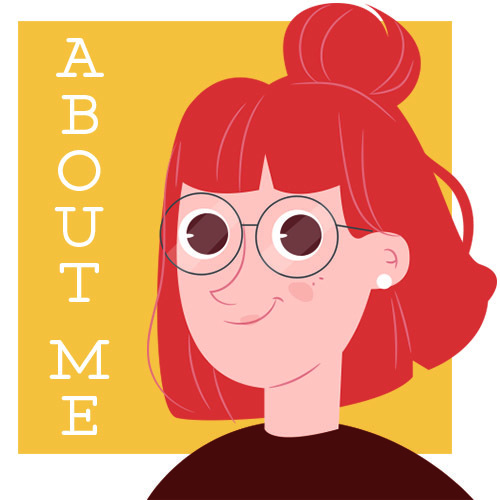 With her book, The Afterlife of Holly Chase, Cynthia Hand has managed to create something fun, unique, and completely unlike anything else I have read. Leave it to one of the writers of My Lady Jane to take trite, overdone source material and redress it as something fresh and original. Only a person with a great deal of imagination can do that. Okay. Welcome, Stephanie. This is my team at Project Scrooge. We each have a team, the other two Ghosts and I, and we each have a code name. I’m called the Lamp, the Ghost of Christmas Present is the Clock, and the Ghost of Christmas Future is the Hood. Don’t ask why. Despite the story’s unique premise, some aspects of the plot felt stilted and unbelievable (which is kind of saying something, considering A Christmas Carol is all about ghosts… and last time I checked, ghosts aren’t ranked very high on the believability scale). The stilted mix of normal and paranormal felt awkwardly handled (HAHA get it? Cause like, the author’s last name is Hand? No? Okay. Shutting up.) as was the book’s take on ghosts. The main character, Holly, is dead-but-not-dead and doesn’t have a life outside of Project Scrooge, yet people can see her, touch her, and even kiss her?🤔🤔🤔 The author’s hurried explanation of this did little to convince me or to fix the clumsy worldbuilding. Me when I realized that this book was not going to live up to my expectations. I’d even tried to run away once, but I hadn’t gotten very far before my arms and legs went numb and I passed out in the middle of the airport. I’d woken up right back on the green sofa in the PS building, where Boz had gently explained to me (again) that I didn’t have a life outside of the company. I was there because they wanted me to be there, until they’d decided I’d been there long enough. In other words, I was stuck. 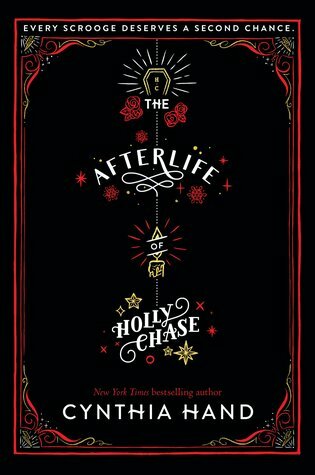 The ending of The Afterlife of Holly Chase is like a particularly hard piece of fruitcake – you can love it, you can hate it, but either way it’s a bit hard to swallow. The way Cynthia Hand flips some magical switches and enlarges some fine print in order to save the day not only feels contrived, but it falls too close to the deus ex machina side of the plot device spectrum for my liking. Sure, I want a happy ending as much as the next reader, but I would prefer if it wasn’t brought about in a sudden and unbelievable way. All in all, while reading The Afterlife of Holly Chase was not some life-changing literary endeavor, it was a great way to get into the Christmas spirit and enjoy the holiday season. And with that, I want to wish you all a Merry Christmas and Happy Holidays! May your day be merry and bright! MIX IT ALL UP AND YOU GET… 3 GINGERBREAD MEN! Have you read The Afterlife of Holly Chase or Charles Dickens’s A Christmas Carol? Your thoughts? How was your Christmas/Winter holiday? What did you do? Thank you so much, Tasya! I appreciate all of your support. I’m also glad to know that I’m not the only one who doesn’t love Hallmark channel movies haha 🙂 Here’s wishing you a wonderful new year and I hope you get out of your reading slump soon! Wonderful review, Kat, I loved reading it as always and admire your graphics and everything just so, so much. I’m sorry to hear that the mix of normal and paranormal felt a little weirdly handled, I get what you mean though, it’s hard to pull this mix off very well sometimes in books! MARRIIIIIIEEEEE! THANK YOU SO SO MUCH! You are really such a gem 🙂 Here’s wishing you a wonderful new year full of amazing books and the time to read them 🙂 I can’t wait to read more of your lovely content in 2019. THANK YOU FOR APPRECIATING THE GIFS (oh and the review too of course haha). I hope that if you do end up reading this book, that you’ll enjoy it (though now that the Christmas season is done and gone, you might not read it for awhile haha). Here’s wishing you a wonderful new year full of ALL THE BOOKS and the time to read them as well 🙂 Thanks for always being amazing!! hehe I love all your use of gifs! Sorry this ended up being a little disappointing and that the ending was hard to swallow (love your analogy though 😉 ) great review! Another fantastic review, Kat! I am sorry that this one didn’t live up to great expectations and was like some fruitcake, though. KAL. EEN. AAAAAA!!!!!! Thank you so much for your comment! You are such a waffle and a half and I love you forever. That is all. I love you forever, too! You are my fave! Amazing review, hon ❤ And I hope you have a lovely 2019! SOHPIEEEE THANK YOU ONCE AGAIN AND ALWAYS. And if you’re a terrible Christmas blogger, then everybody is, because I have never seen more Christmas spirit in a single blog before (I mean, even your social media icons have little santa hats on them, for goodness’ sake! And they ARE SO DANG CUTE TOO). I’m in the middle of the audio book right now and am actually really enjoying it. I’ll admit the world building isn’t the best (still confused as to how these “ghosts but not ghosts” end up in this project scrooge purgatory tbh) but I think it’s hilarious how they’ve given the traditional story a bit of a “corporate” spin lol. I honestly am not sure how the ending will pan out but I’m excited! I’m so glad that I wasn’t the only one who was confused by the “ghost but not ghost” dealio going on in this book. But yeah, the creativity behind this whole retelling is on a level unto itself. I wish I could be just a tiny bit this creative haha.